Lehman Catholic’s Sam Gilardi serves at second singles during a match on Wednesday at Troy. Lehman Catholic’s Max Schmiesing serves at third singles during a match on Wednesday at Troy. 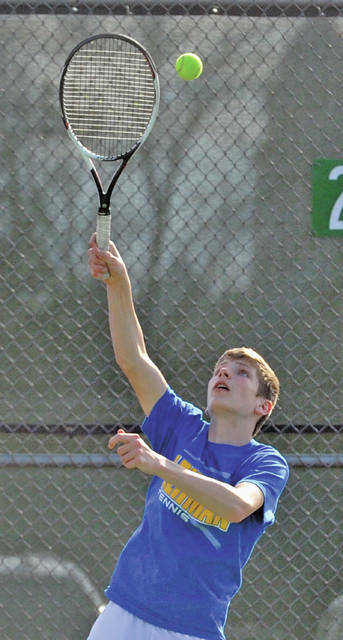 Lehman Catholic’s Danny Lins follows through on a backhand at first singles during a match on Wednesday at Troy. 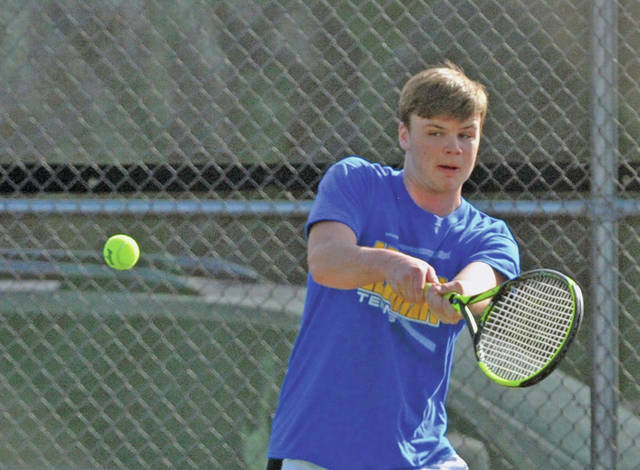 The two met on Wednesday at Troy High School, with the Trojans putting away their fifth straight victory by defeating the Cavaliers 5-0. Lehman hosts Piqua on Thursday.